Lean Greens Super Greens Powder Supplement Review – is it Good For You? I recently spoke about my Oral Allergy Syndrome (OAS) and how it affects my day to day life and diet. Because of my allergies I often miss out on fresh fruit and veg, which is quite frustrating and means I take a heap of supplements to make sure I’m getting all that vitamin and mineral goodness. 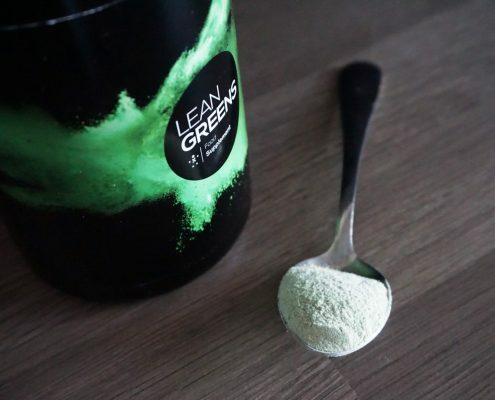 The lovely people at Lean Greens sent me a tub of their Lean Greens Super Greens powder supplement to try so I thought I’d take the opportunity to give you my honest thoughts on it. I was also interested to see how I would react to the product, given that I do normally react to spinach and this is a main ingredient in the Super Greens product. Maltodextrin, Spinach, Wheat Grass, Barley Grass, Alfalfa, Chlorella, Carrot powder, Spirulina, Brocolli, Blueberry Extract, Blackcurrant Extract, Bromelain, Amylase, Protease, Lactase, Lipase, Cellulase, Stevia, Siberian Ginseng, Green Tea. I’m particularly pleased to see that it contains digestive enzymes (Amylase, Protease, Lactase, Lipase, Cellulase) as I already take these and think they are really important for digestive health. I have previously taken Spirulina so I was fully prepared for this to smell and taste less than pleasant, however I was really surprised how mild the smell was. The powder has a slight green tinge and is well ground – smooth, not gritty like other similar products I’ve tried before. Preparing the mixture was pretty easy – it directs to put 3 heaped teaspoons in a glass of water but I opted for a shaker personally. Anyone who takes any kind of powder based supplement will know the struggle of lumps that won’t dissolve with a furious beating. This powder though was so fine it mixed really well, I left it for a few minutes and it didn’t sink to the bottom either so no nasty sludge surprises here. Honestly, I was fully prepared for this to taste foul. But it wasn’t at all, it was palatable. I mean I’m not gonna be mixing jugs of it and savor it like it’s a margarita, but it isn’t gonna ruin my breakfast either so that’s a win to me. 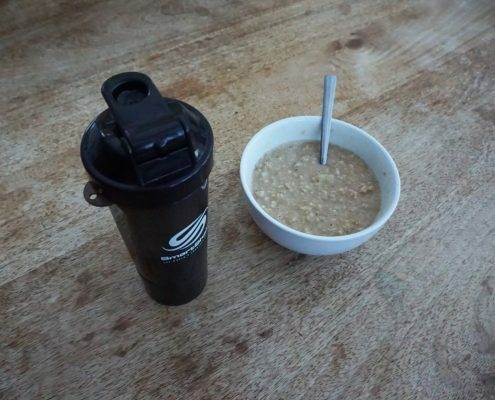 I didn’t feel the need to neck it, it was mild, so happily sipped whilst I got on with eating my morning pro-oats. This product seems a really simple way to get some nutrients that I might otherwise miss out on because of my allergies. I haven’t really felt much different than normal, but with all of these supplements my view is that I take them as a boost to my health and I would definitely consider a product like this be a great addition to my supplementation routine. You can buy the Lean Greens Super Greens on Amazon, and they’re a prime item! This post contains information about a product that was gifted – Lean Greens Super Greens – however the content reflects my own personal honest opinion only. In addition affiliate links are used to support the running costs of this blog where appropriate.